The perfect cake pop for a someone who loves to play video games for his birthday! Happy Birthday Michael! 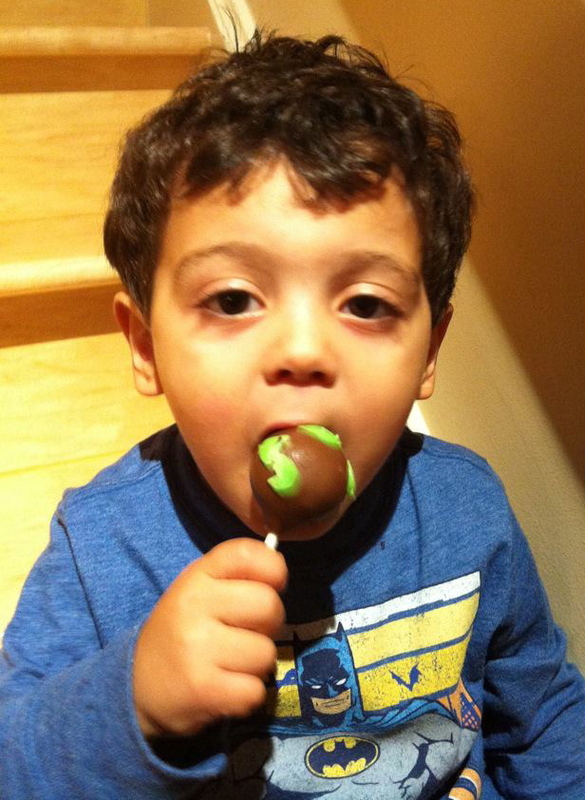 Hope the cake pops were a winner on your special day! Spiderman party theme for my son's 4th birthday! 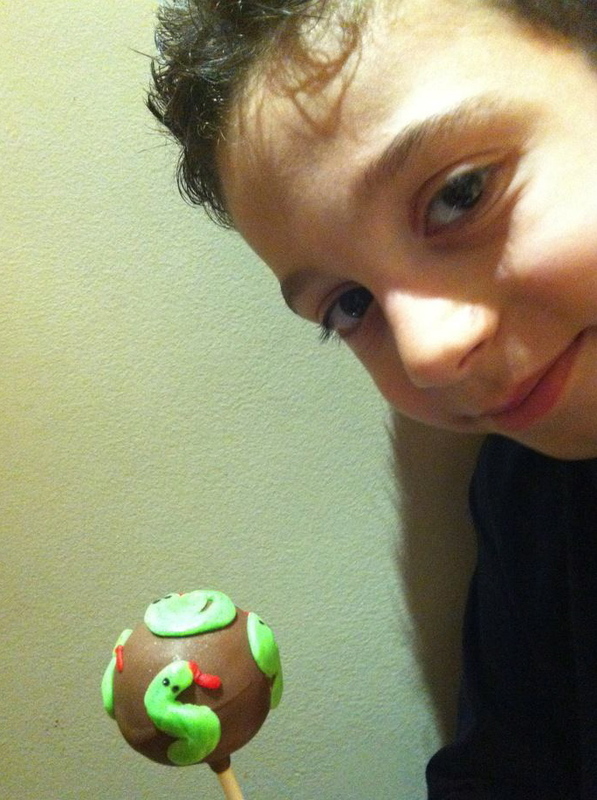 Spiderman cake was done by Vanessa Marie Fiorini at Patisserie V. Marie. Of course mommy made spiderman cake pops and brownie cupcakes! Anthony was so excited that Spiderman came by for a visit at his birthday party! Owl cake pops made for a sweet little girl who turned 2 years old! Hockey Pucks for a sweet little boy on his 7th birthday! Go Leafs Go! These cake pops were made for a baby shower and were given out to each guest. Another great alternative instead of cutting into a cake. No cutlery needed and no mess but more fun! Made for a a sweet little girl who daddy calls his monkey! Cupcake Cake Pops made for a Pinkalicious party theme. Made for a princess for her princess birthday party theme. 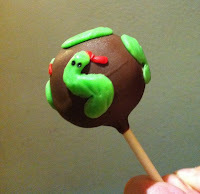 I was very happy that all cake pops were sold today and that all proceeds went to the Look Good Feel Better Foundation! It meant so much to me to take part in this gala because this foundation helps many women with cancer look good and feel better about themselves, including my mom who went through a year of chemotherapy and radiation. Thanks to my sister Rosie, who asked me to take part in this event and thank you to all that joined us in supporting the Look Good Feel Better foundation.